JC Social Media is one of the UK’s leading providers of social media training for businesses and individuals. Find out more about our Twitter training services below and enquire to book in a session. Twitter has been hailed as one of the true social media networks, meaning it is genuinely one giant public conversation. Twitter remains incredibly relevant for both B2C and B2B businesses and becoming part of that conversation can help you reach new members of your target audience. Here’s a typical outline of what the sessions involve. 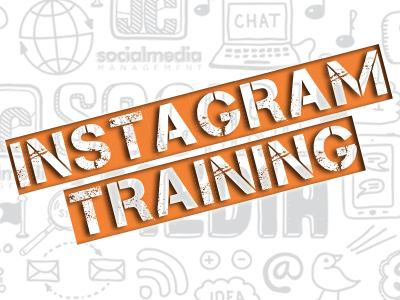 Training is a great way to increase your impact across social media. We’ll work with you to develop a strategy and the skills you need to build your brand or improve your efficiency in your work. Twitter is a fast-paced and highly influential social network, particularly in some sectors. For many, Twitter is the go-to platform for the latest news, opinion and gossip. Community management is also one of the key roles of Twitter for some brands. Whether you’re new to Twitter or are looking to broaden your knowledge and skills base, our training is a great place to start. Tell us your requirements and we’ll get to creating a training session to suit you. We typically run half or full-day sessions depending on your current skill level and how much we need to cover. Our head of training services, David, has trained hundreds of business in social media marketing and is here to help you too. We are experts in helping businesses achieve their social media marketing goals. Twitter remains one of the most popular platforms for brands. All of our training is tailored to your needs. We work from our tried-and-tested programmes that have benefitted hundreds of businesses in virtually every sector. Find out more about other specific areas of social media training or enquire now. 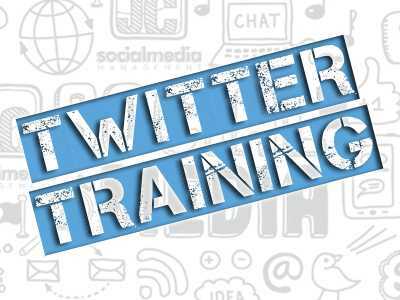 You can also now book your half-day Twitter training session now using our secure online booking system. After understanding where you’re at and what you need, we’ll compile the modules we’ll cover in your session. We provide bespoke, one-to-one and small group training nationwide so we’ll adapt to what you require. First, we’ll identify the role Twitter should play in achieving your social media marketing goals. We’ll then shape a Twitter strategy to ensure your efforts work towards them. Content is important in social media and Twitter is no different. Only the best content will stop people scrolling through hundreds of tweets every minute. Twitter’s slogan of “join the conversation” really is fitting. There are ample opportunities for your brand to reach new audiences, both on an individual basis and through online events. Checking out the competition, learning from their tactics, their wins and losses, helps us shape our strategy, content and engagement game without the need for trial and error. Excellent workshop delivered by David. Our company has been active on social media for a while now and found this workshop very helpful to help us take our social media to the next level. I personally feel this was one of the best training sessions I have ever been on!